Quarterback boy (name yet to be revealed) and Shane (making his return) were both created originally by none other than HeSerpenty! Also! 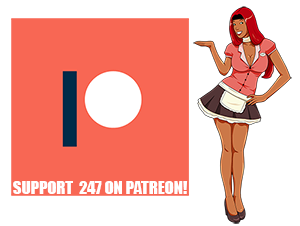 Make sure to stop by 247 Fans to check out lots of new fan/gift art by some of your favorite Comic Fury artists! Heh, no worries. This is only his 2nd "on-screen" appearance so far. Gotta make an entrance when you can! Wow this is looking really good !! Sorry ive missed the last few pages! Good-looking dudes. Reminds me of... well, Me when I go to a party. That's exactly how the ladies react (I wish, lol). Gonna be a great night. The party's getting underway! XD Who else will be arriving now?